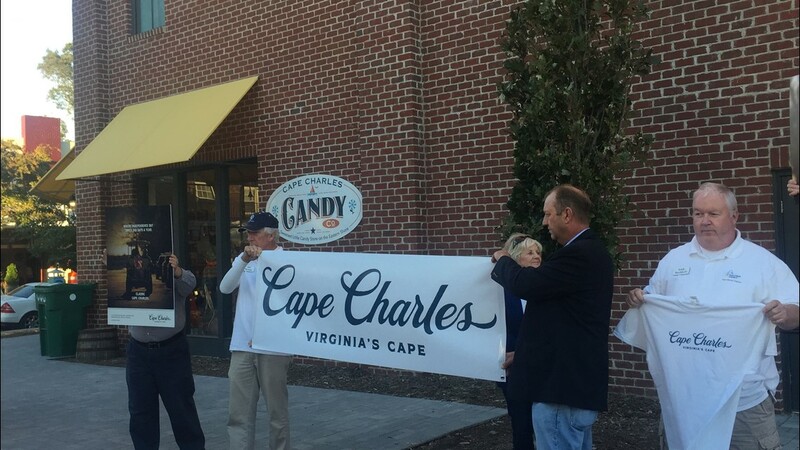 A new brand and logo for Cape Charles, Virginia is unveiled during a ceremony on Friday, Oct. 29, 2018. 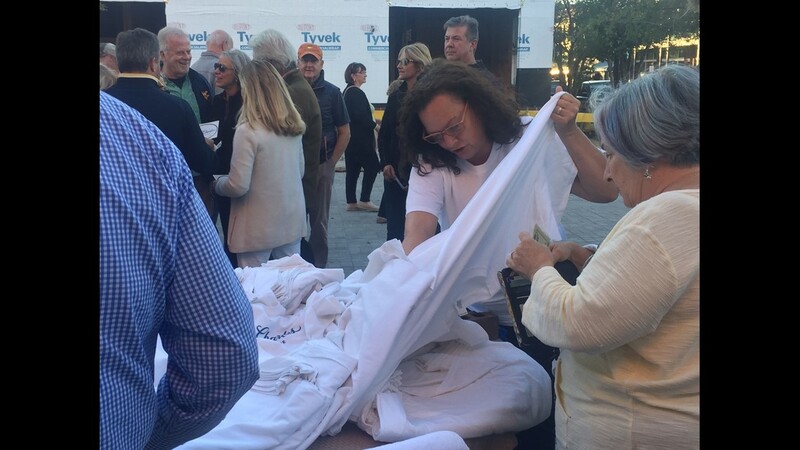 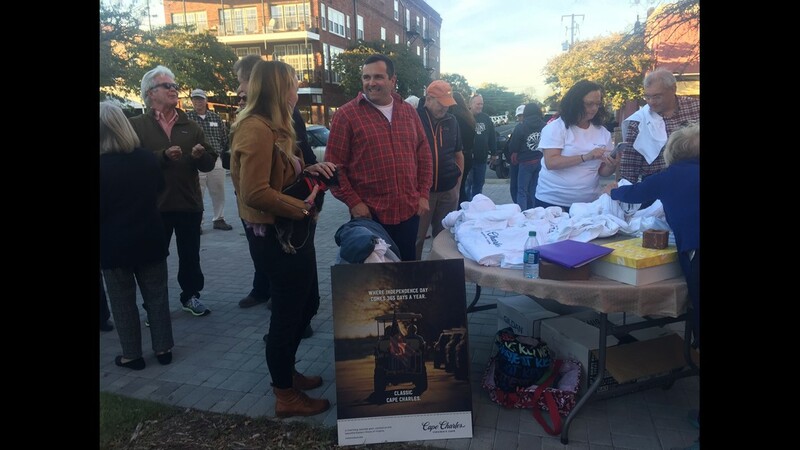 People gather around to purchase T-shirts with the town of Cape Charles' new logo after a ceremony to unveil the new brand and logo in Cape Charles, Virginia on Friday, Oct. 19, 2018. 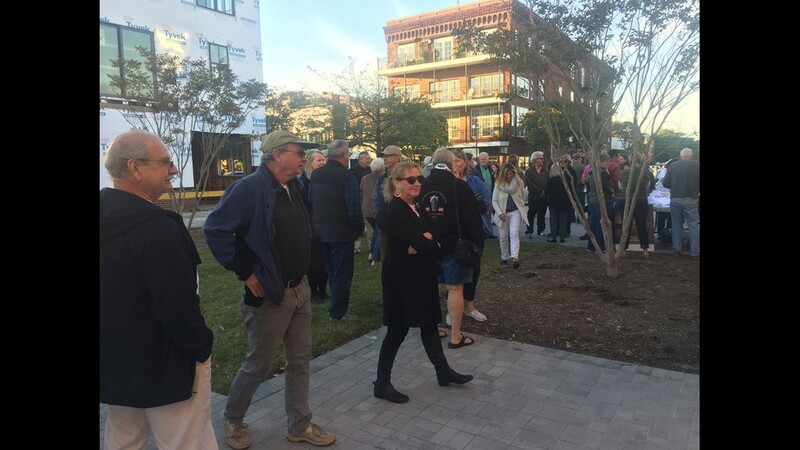 People gather after a ceremony to unveil the new brand and logo in Cape Charles, Virginia on Friday, Oct. 19, 2018. 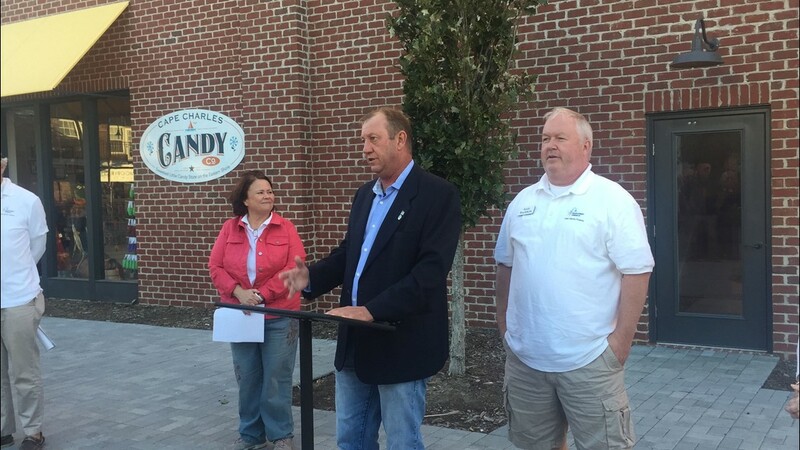 Mayor Smitty Dize speaks during a ceremony on Friday, Oct. 19, 2018 to unveil a new brand for the town of Cape Charles, Virginia. 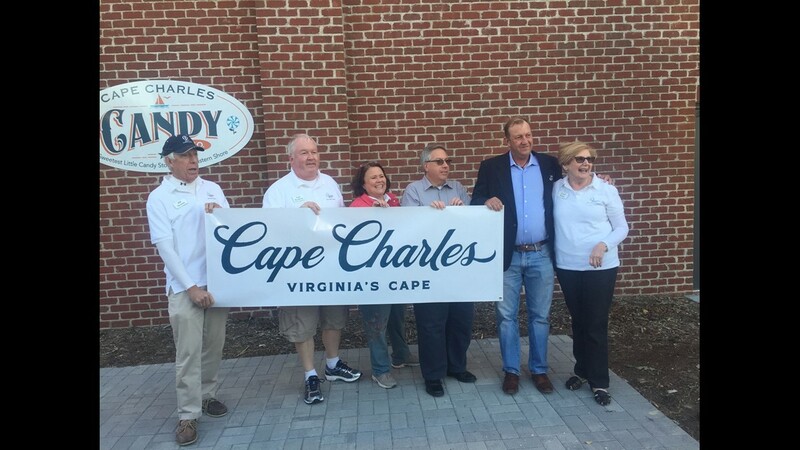 A new brand and logo for the town of Cape Charles is unveiled during a ceremony on Friday, Oct. 19, 2018 in Cape Charles, Virginia. 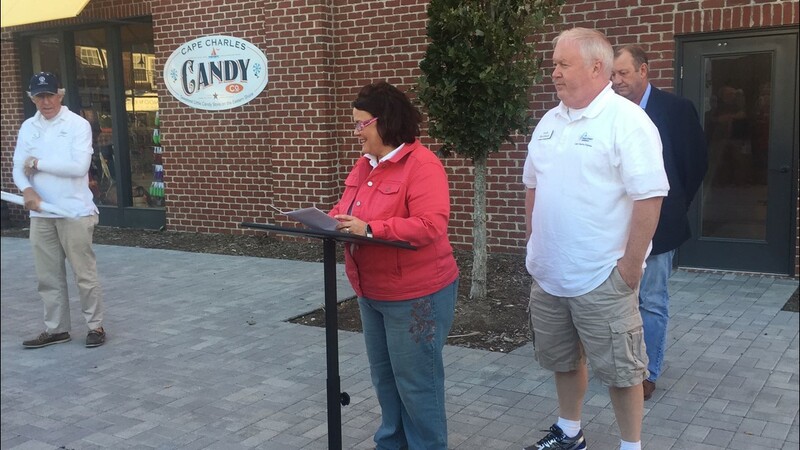 Councilwoman Tammy Holloway speaks during a ceremony on Friday, Oct. 19, 2018 to unveil a new brand for the town of Cape Charles, Virginia. 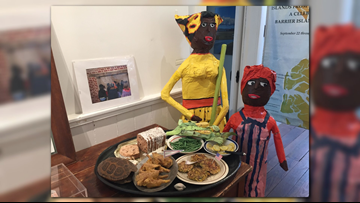 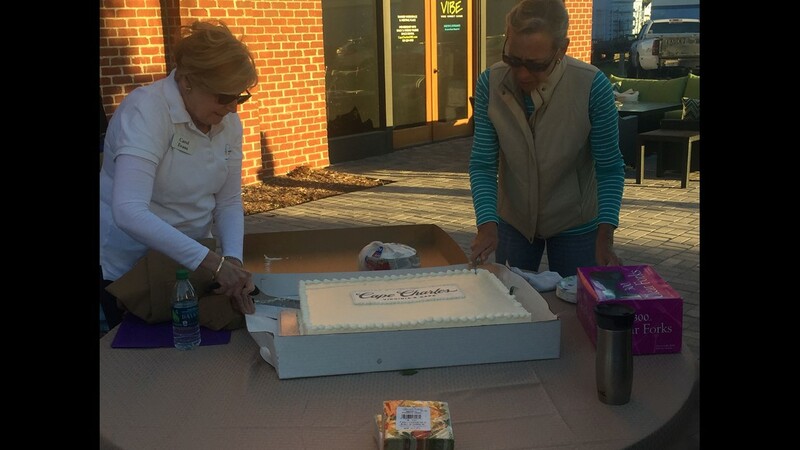 Cape Charles volunteers cut a cake during a ceremony celebrating the town's new brand and logo on Friday, Oct. 19, 2018 in Cape Charles, Virginia.